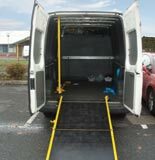 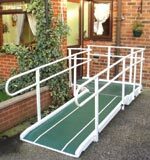 This is part of our Vehicle Ramp range, which is available in different styles to suit individual needs and are perfect for the loading of laden/unladen wheelchairs, powerchairs and scooters into the back of vehicles. 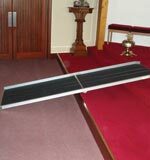 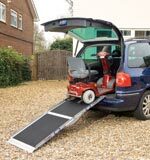 With folding and telescopic capabilities, all ramps in this range are highly portable. 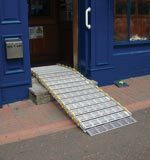 The Aluminium triple length folding ramp provides for easy access into vehicles and buildings (2-3 steps). 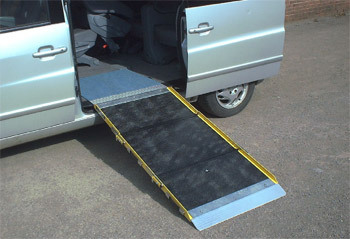 This is one of the most compact ramps available for vehicle storage and movement. 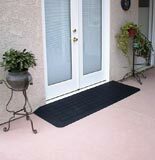 Closed up dimensions: 1600mm = 580x725x135 (LxWxB), 1800mm = 620x725x135 (LxWxB).